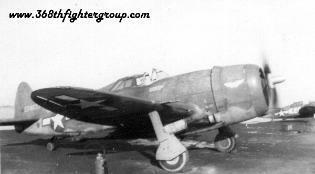 flown by Gilbert Meyers as commander of the 326th FG in 1943. 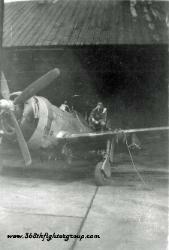 The P-47B was fitted with a Pratt & Whitney R-2800-21 engine rated at 2000 hp. The engine drove a 12' 2"diameter Curtiss Electric C542S-A6 propeller. 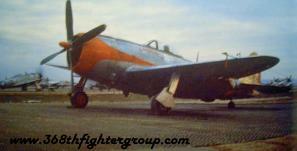 The P-47B had an empty weight of 9,346lbs and a maximum loaded weight of 13,360 pounds. 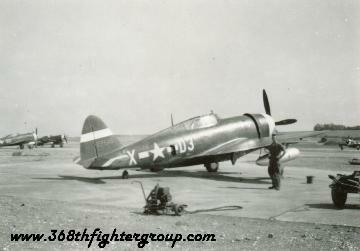 The P-47B was essentially a test model and most were modified and quickly replaced by the P-47C model. 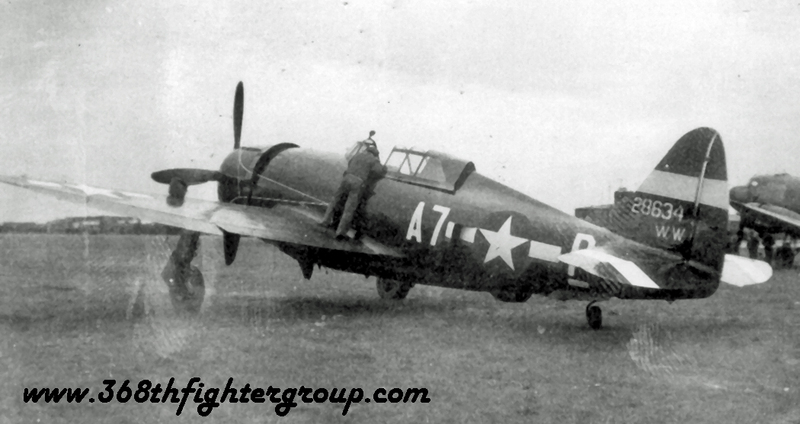 Only 171 P-47B models were built and very few were sent overseas. 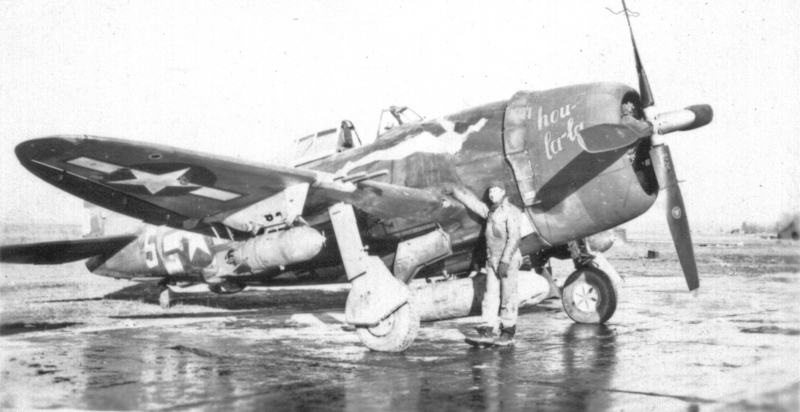 The first Thunderbolt to be considered truly combat-ready was the P-47C-2-RE. belly tank the range was extended to 1250 miles at an altitude of 10,000 feet. 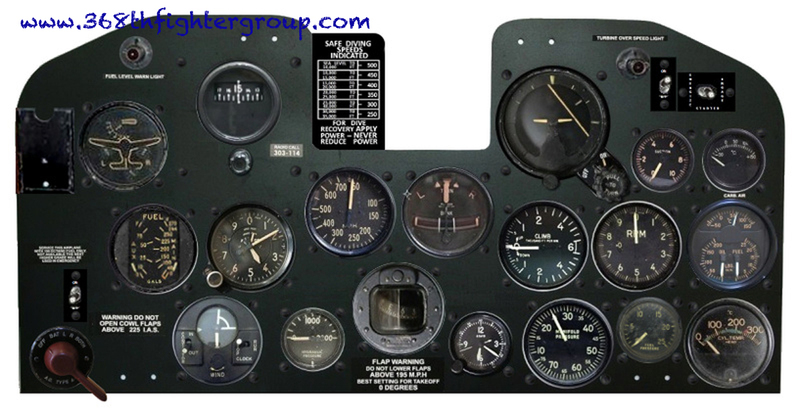 The P-47C-5-RE introduced revised radio, instruments, and antenna. Cockpit heating was also introduced. 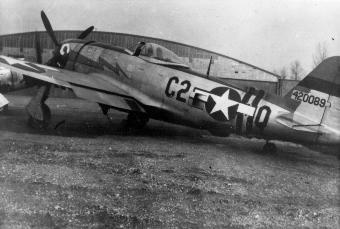 The P-47C was the first Thunderbolts to see combat in Europe. accessory section. Additional cowl flaps were fitted to improve engine cooling airflow. 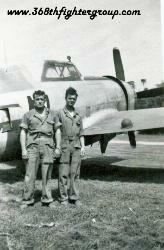 More extensive armor protection was provided for the pilot. 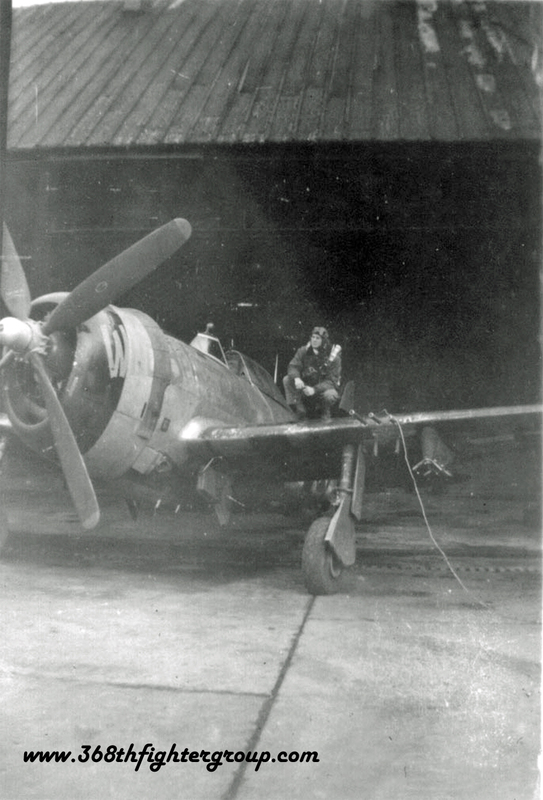 the first Evansville-built P-47D (serial number 42-22250) rolled off the assembly line in September of 1942. Evansville-built P-47Ds were distinguished by the use of the RA manufacturer letter code rather than RE. 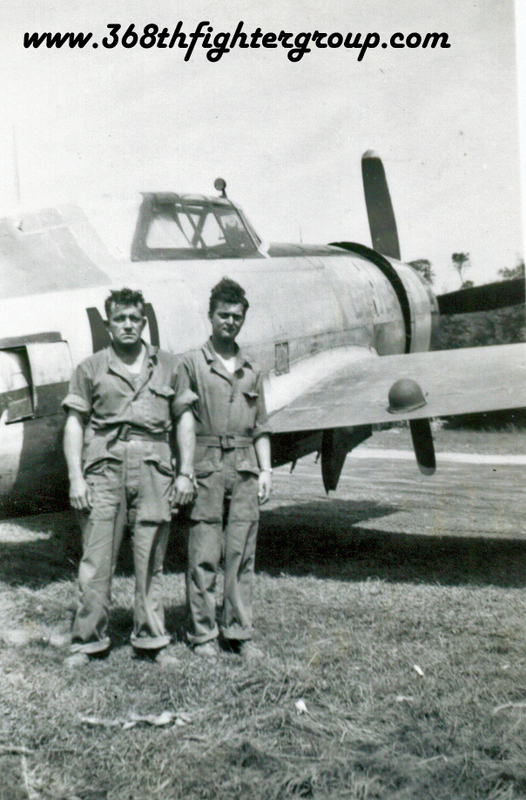 Curtis built P-47's remained stateside and were used by training units. Underwing pylons were introduced on the D-15 production blocks. 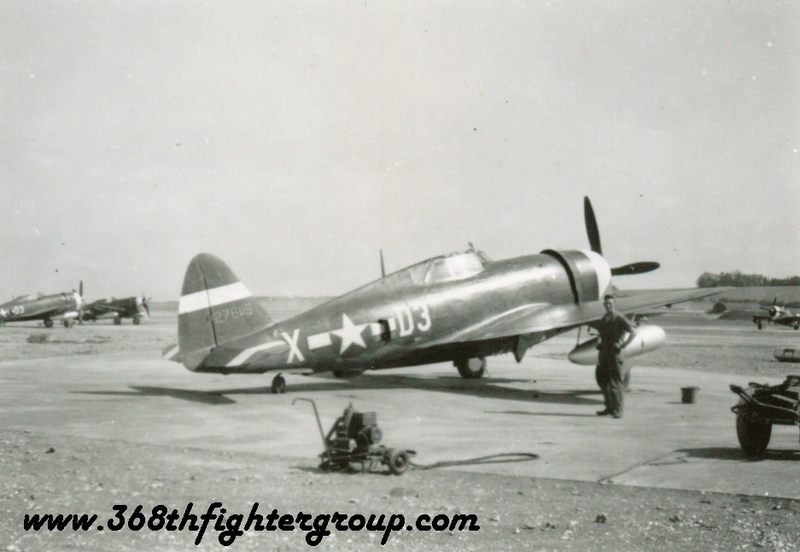 150 miles to the P-47's range. system. The power was the same as that of the -63, with a war emergency power output of 2300 hp. 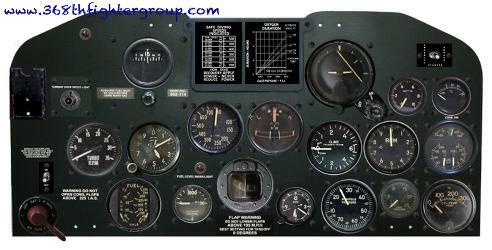 internal fuel capacity was increased. Ordinarily, the USAAF would have given such a radical modification a completely new variant letter. The USAAF chose instead to designate it simply by giving it a new production block number in the D-series. 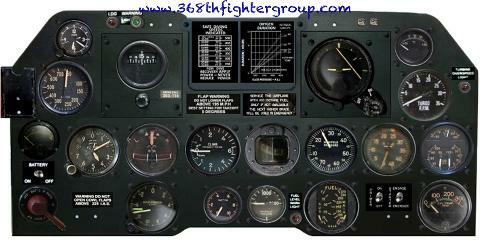 fuel load of 595 gallons, providing a maximum range of 1800 miles at 10,000 feet. rudder. This innovation successfully restored the stability. the undersurfaces of each wing. 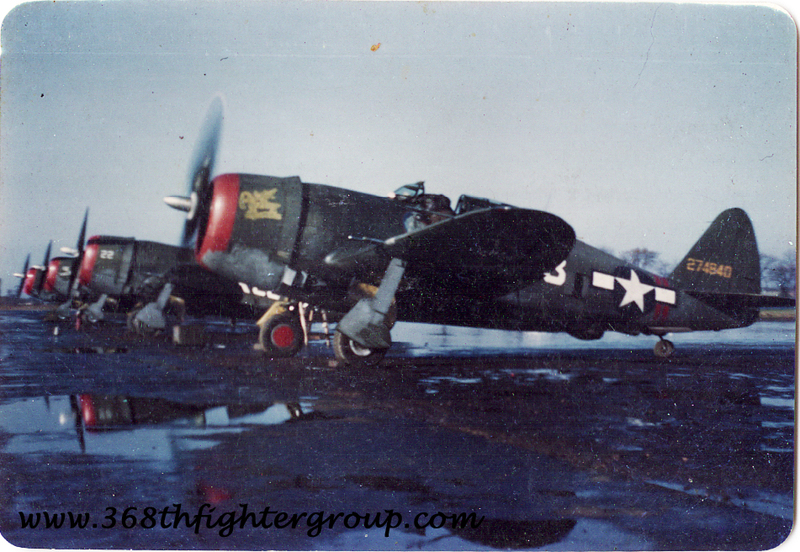 Republic Farmingdale produced a total of 2547 bubbletop P-47D's and Evansville produced 4632.